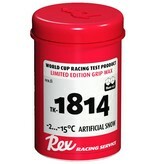 TK-1814 Designed as a race wax for man made/artificial snow conditions. 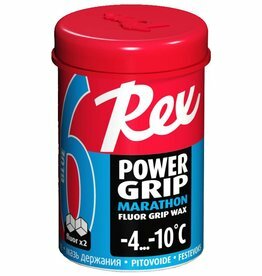 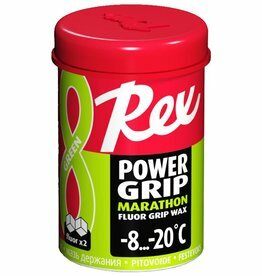 Used to cover hard wax or klister for increased speed. 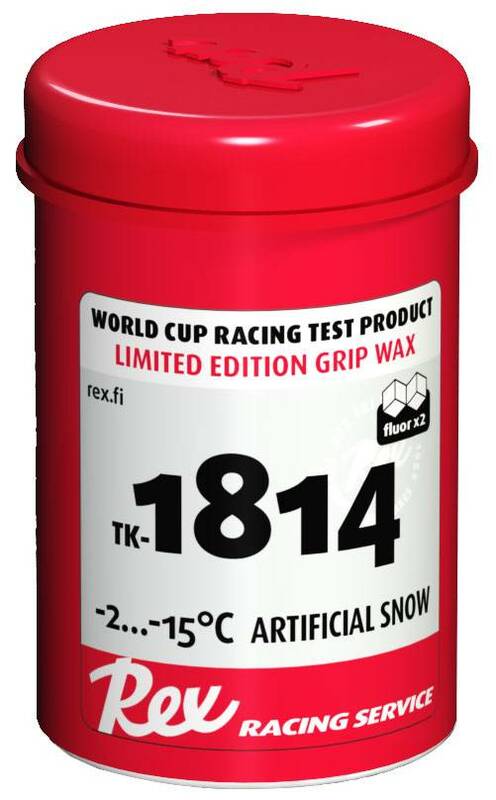 It is a new kind of grip wax designed for the conditions that are usual in the world cup during the early season. 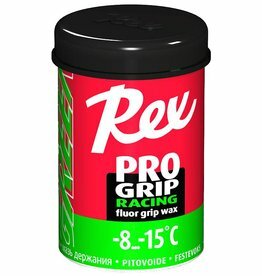 When the snow has been brought from faraway mountains and spread with a bulldozer, this is the wax of the day.